In addition to having a baby within the next seven weeks, I have a major birthday coming up a week from today. Yes, my friends…I am turning the big 3-0! As has become tradition, I’ve decided that there is no better way to celebrate my birthday than to giveaway a few sweet gifts (at least in blog land). This year, I’ll be giving away two…one this week and one next. My first giveaway is a pretty sweet deal for all of my aspiring business owner friends who need new BUSINESS CARDS (myself included), sponsored by PrintRunner.com. PrintRunner.com was established with little more than a small press and a dream. Ten years later, their company has become one of the foremost quality printers in Southern California. Their commitment to provide the best value and high quality full color printing at affordable prices has really allowed their company to grow. Not only do they offer business cards, but they also offer post cards, flyers, greeting cards, stickers, calendars and other cool stuff. 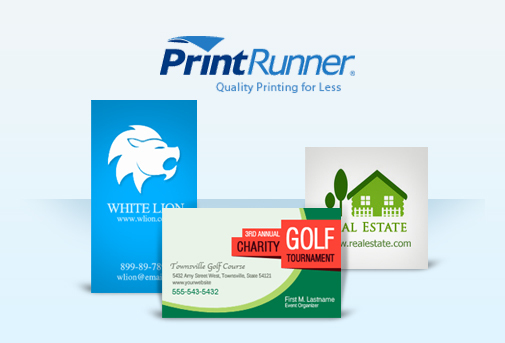 PrintRunner is a full service high quality printing company located in Chatsworth, California. Follow me on Google Friend Connect or tell me how you subscribe to Ramblings and Photos. This giveaway will be open through Thursday, June 21st at Midnight EST. 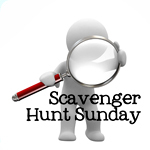 I’ll announce the winner at some point next weekend. Winners are only allowed to win once over a two-month period, so please do not enter this giveaway if you’ve already won something with PrintRunner. Business cards will be awarded the last week of June. And with all of that said, thank you PrintRunner for sponsoring this giveaway. I will receive a set of business cards for hosting.